It's Not Kaelyn . . .
. . . but Dorota swore it was. 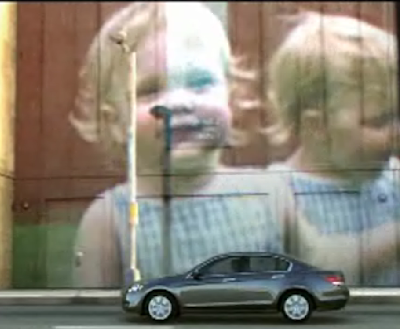 All she said was that it was a Honda commercial and they showed a movie-like thing of her. Somehow we caught it tonight and both Kelly and I swore it was her. Click here and watch the 2nd commercial listed; she comes in about four seconds in. It's crazy. Somewhere, Kaelyn has a twin [or two?]. Older PostIn The Meantime . . .